I have found myself reflecting a lot lately, not about life struggles, work stress, personal worries, but about what goal do I want to tackle next. In 2011 I was a 25 year old searching for my passion in life. I was unsure if it was supposed to be a certain job, a hobby, or something in the community. That same year I was asked to participate in a group coaching course. I went through the SOS Leadership Science of Personal Achievement program with five other people. One of the initial things I learned was to take the first step on any success journey, you have to first figure out where you want to go. I completed an activity where I listed out my Top 10 goals. I reviewed and edited this many times throughout the 6 week program (which I found out is ok to do!). My top goal at the end of the program was to get a Graduate degree. In the Fall of 2012 I enrolled in the Concordia MBA program and in Fall 2014 I graduated. I will admit, now as a 29 year old with a lot more responsibilities the only thing I could think about after graduation was having my “free” time back. 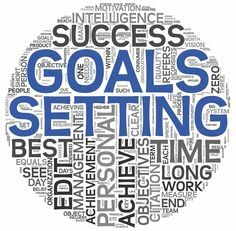 What I forgot about though is that goal setting is a continuous process. You should never be done! You have to focus on whatever is NEXT. Recently, I read through the lessons from that same program that helped me learn so much about goals and about myself. I started to wonder: Why have I not been doing more over the past 10 months since graduation with my MBA? My other goals did not just magically disappear, I STOPPED working on them. I achieved something great, but I forgot that getting my MBA was not the end of my learning journey, it was just the beginning. I have made a decision to go back to the basics and to create a new top ten list. At this point in my life, I need to once again find out what matters most to me. I want to know what I can do to make me the best version of myself. I want to accomplish more GOALS! I need to determine where I want to go and reflect on whether or not certain goals are actually worth it to me! How are you doing on your goals? If you have achieved something great lately, what will come next? Have you ever written down your goals? Have you ever gone through a goals program like the one I am referencing? These are all important questions for you to ask yourself. I challenge you to get back to the basics as I am now doing. Focus on you. Focus on your goals. Work to become the best version of yourself! Next → Next post: Is Your Culture Toxic?